In celebration of his birthday, His Royal Highness The Prince of Wales has written a personal message to the countryside in our November 12 issue. 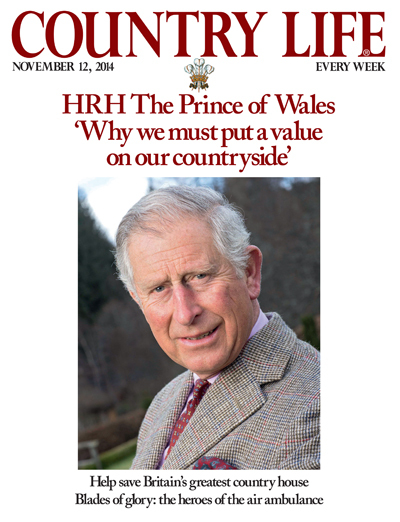 Following the huge success of the special November 13, 2013 issue of Country Life that was guest edited by The Prince of Wales to mark his 65th birthday, His Royal Highness has written a personal message to the countryside in the November 12 issue. The Prince of Wales issues a stark warning in his message that if we don’t place a proper value on the countryside, we risk losing it. The Prince writes: ‘The rich, natural tapestry that is the countryside we value so highly does not just happen by itself. But that delicately woven tapestry is facing unprecedented challenges. The Prince also talks about the work of his Countryside Fund, established in 2010, which has provided £4.4 million in grants distributed to 105 projects across the country, directly benefiting 80,000 people and 140 communities.